Today is Steven & Thad's moving day! The kitchen, dining room, and bathroom floors were already installed and all the painting was completed earlier this week. All that was left was for their furniture to arrive. They had already moved lots of boxes and fragile items into the house themselves, but the movers came at 8:30 to get their furniture and heavier items. Shortly after the movers finished up, the appliance delivery guys showed up with their new stove, fridge, dishwasher, clothes washer and dryer. Knowing they'd have nothing for dinner, Spouse & I invited them to eat dinner out with us some place easy and inexpensive. Thad said he was dirty and tired and didn't feel like going out so he suggested we pick up pizza and bring it over. We did, and joined them for their 1st dinner in their new house. We're so happy for our good friends! The passing of marriage equality in NY prompted several celebrities, gay and straight, to speak - err, I mean, tweet up on the topic. “I can’t stop crying. We did it kids.” – Lady Gaga, on Twitter. “happy gays r here again !!!! !” – Rosie O’Donnell, on Twitter. “I have never been prouder to be a lifelong New Yorker than I am today with the passage of marriage equality.” – Cyndi Lauper, in a statement. “Time to celebrate!!! Marriage Equality for NYers! Its about… love!” – Ricky Martin, on Twitter. “It PASSED! Marriage equality in NY!! Yes!! Progress!! Thank you everyone who worked so hard on this!! A historic night!” – Neil Patrick Harris, on Twitter. “I’m thrilled about the news from NY. 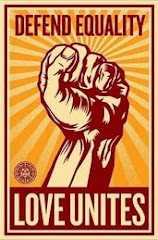 Marriage equality! Every day we get a little closer. What an amazing feeling.” – Ellen DeGeneres, on Twitter. “tonight we’re all New Yorkers! 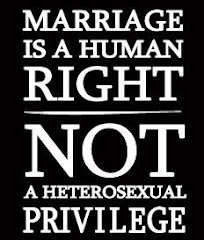 Straight & gay alike, let’s all celebrate marriage #equality. The right side of history!” – Kathy Griffin, on Twitter. 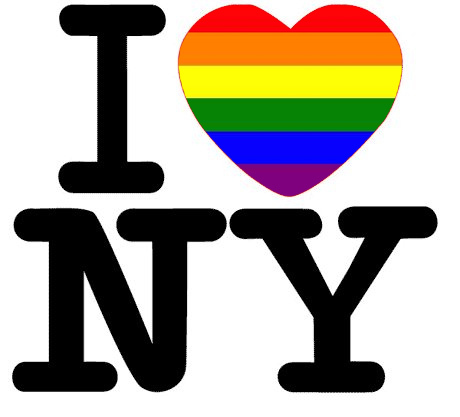 “Happy that New York passed marriage equality tonight. A victory for human rights. Progress.” – John Legend, on Twitter. “congratulations!!!!!!!!! About time!” – Pink, on Twitter. “Alec! Now we can get married!” – Steve Martin to Alec Baldwin, on Twitter. “Ok. But if you play that … banjo after eleven o’clock…” – Baldwin’s response. “I sing it every night, but now it has better meaning: `New York- concrete jungle where dreams are made of, there’s nothing you can’t do.’ As if I didn’t already have enough to celebrate and enjoy today. A big hug for New York from my lone hotel room in London.” – Darren Criss, on Twitter. “Way to go, New York. One people. One planet. One love.” – Alyssa Milano, on Twitter. “Proud to be FROM NY! – Lindsay Lohan, on Twitter. “Yay for Gay Marriage! NY, it’s about time…jersey we’re next! How you doin?” – Wendy Williams, on Twitter. This was my weekend to work both days. Sat. I worked until 5 and the day seemed to drag on because we weren't busy. But our good friends Kerry & Hugh were in town so we invited them to dinner with Steven & Thad and Jack & Alisha. Kerry & Hugh and Jack & Alisha have a lot in common so we thought they'd enjoy meeting each other. We had a good meal with great conversation. I worked Sun until 4 and again it was slow in the office. That evening we met Steven & Thad for dinner and then watched a DVD for the last time at their old house. 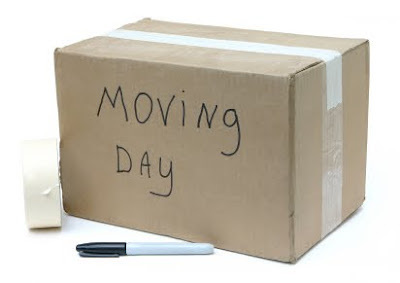 Moving day is coming! This evening we went to Jack & Alisha's for dinner to celebrate Jack's birthday. The food was good and we had a very nice time. 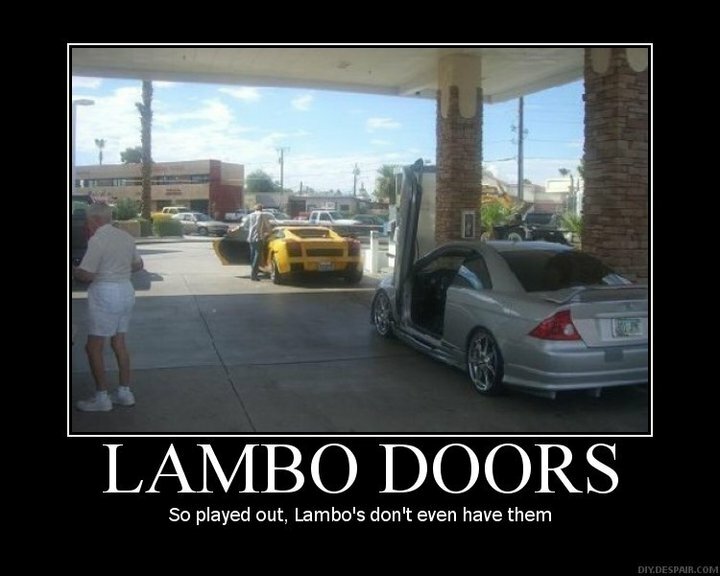 My friend Larry supplied me with this gem. Videos have been added to yesterday's post about the Rehoboth Idol finale. Click here to open the post in a new window. My twisted friend and frequent hilarity contributor Jared sent me this ditty! After what feels like forever, Project Runway season 9 starts July 28th! I'm so looking forward to it!! Since I was not on phone duty today I decided to take the day off, as did Spouse, to help Steven & Thad prime and paint their house. Steven had work but Thad's nephew Jack was able to come and the 4 of us got a LOT done today. In addition to priming and painting we also assembled and installed 2 ceiling fans. It was a fun day! Jared sent me this, which made me chuckle. Have you seen the parody of Lady Gaga's "Born This Way" by Weird Al Yankovic? Its called "Perform This Way" and I think its hilarious. Check it out! I've been a fan of Weird Al's parody songs and videos for years. Spouse & I tried a new restaurant tonight called Bay Leaf. Its kind of like a diner and an Italian restaurant and brick oven pizzeria all wrapped up into 1. I had a large crab cake over macaroni & cheese. It was actually better than I thought it would be. Spouse had lasagna and said it was good too. It was nice to not be disappointed by a new place. This is it: the finale of the Rehoboth Idol singing contest. The night's mission for me was to pull out all the stops and really show that I am a performer, not just a singer. I've been battling sinus congestion since Sun so I felt tired and drained at the coaching session that afternoon. I was told by the coach that I needed to move around the stage and add some choreography to my song. 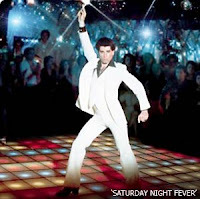 So that afternoon I watched the "Night Fever" video on YouTube with clips from the song's appearance in the film "Saturday Night Fever" to get inspiration. At home I practiced moving around the stage and added several recognizable disco moves to my routine, including the bus stop dance and John Travolta's signature 'point-up, point-across-the-body'. It felt like just enough choreography to enhance the song but not be distracting to me or the audience. I sang "Night Fever" in falsetto as the Bee Gees did, except for the bridge. Like the original, I sang "...and that sweet city woman, she moves through the lights, controlling my mind and my soul" in my regular voice, then went back to falsetto for the rest. Although fatigued from sinus medication, my adrenaline kicked in and I gave it everything I had. The audience and judges loved it! Since there was just 1 song before I sang again, I quickly changed out of my disco outfit into an all black outfit for my 2nd number. After each of us sang our 2nd song we received feedback from the judges on both songs. Most of it was very complimentary and affirming. Then the judges went to deliberate and tally their scores while the audience was treated to a performance by Carla Jones, Rehoboth Idol 2010. She did an amazing job singing Chaka Kahn's "Ain't Nobody". Although I didn't attend any of the Rehoboth Idol 2010 performances, it was easy to see why she won last year. She's got a great voice, lots of vocal control, and is beautiful. Then judges returned to their seats and Miss Richfield 1981 called all 4 contestants onto the stage and explained that 1 of the owners of the Blue Moon, Tim Ragan, would deliver the results. Tim came onto the stage with a huge check, like they show in those Publishers Clearing House commercials, with the name covered up. He explained that the judging was very hard since the contestants were all so good. They decided not to give rankings, but to just select the winner. Miss Richfield 1981 said "Well, don't keep me in suspense! Who is it? 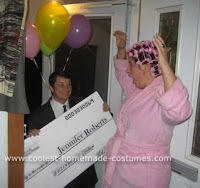 Who's the winner of Rehoboth Idol 2011???" As he uncovered the name on the giant check for $1000. he said "Mark!!". Miss Richfield 1981 took my hand and directed me to the front of the stage where Tim gave me the huge check. The audience cheered and I saw camera flashes coming from every direction so I smiled and tried not to look crazy. I often don't look good in candid photos. Miss Richfield 1981 congratulated all the contestants on a job well done and we congratulated each other. The judges joined us on stage and we closed the contest by singing "Dancing Queen". When the song ended it was group photo time on the stage. Again, camera flashes right and left. Although I'm not very photogenic, it was actually fun/exciting to be photographed like that, as if the paparazzi were vying for the best shot. When the mayhem subsided I joined my friends Steven & Thad, Joe P, Kim, and The Bobs who had come to support me. They congratulated me and we talked for a few minutes. Then I got a bottle of water and talked to some other friends and several strangers who stopped me to chat. It was an AMAZING night and I am SO HAPPY that Claritan-D kicked in. I'll add photos once I get them from Joe P, so check this post again tomorrow. In addition to winning the $1000. cash prize and the title Rehoboth Idol 2011, I will also be given opportunities to be paid to perform in other Blue Moon shows for the next year. I think I'm going to have a good time! I've been having severe sinus pain and congestion since Sun. I started taking a generic form of Mucinex-D (same active ingredients, just a lower dosage) on Mon and Tues but it just didn't help enough. So last night I broke down and bought the full-on, non-generic Claritan-D which is helping. But I'm far from being over it. I'm still quite congested and I feel like I have earplugs in my ears. But I absolutely can NOT surrender to it because tonight's the night of the Rehoboth Idol singing contest finale! In fact, I have not 1 but 2 songs to perform tonight in the hopes of winning the $1000. cash prize, the coveted title of Rehoboth Idol 2011, and the opportunity to get paid to sing in future Blue Moon shows. Tonight's theme is disco and my selection is "Night Fever" by the Bee Gees. 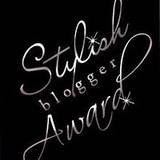 I've even put together a disco-ish costume and some disco moves since stage presence is my weakest judging category. My 2nd selection (any genre) is "Its Too Late" by Carole King because its kind of soulful and tells a story. I hope my decongestant and voice don't give out on me. Wish me luck! Our dear friends Steven & Thad went to settlement yesterday on their new house. While they were at the attorney's office signing their names a thousand and one times, I was at their new house peppering their yard with plastic pink flamingos. A facebook conversation gave me the idea for it, and a colleague reported she had seen pink flamingos at the Dollar Store. Yes, the Dollar Store!! So I immediately bought 10 plastic pink flamingos for the joyous occasion. 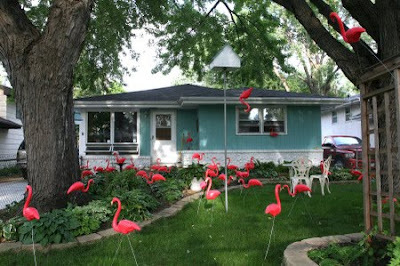 When they returned from settlement, keys in hand, they were greeted by the festive display of pink flamingos in their yard. Wish I'd thought of taking a photo. Photo above is from the internet. Later that evening, Spouse & I put together a quick 'house viewing' party at their new place. Several of their friends were available on virtually no notice, which was great. Joe P, 1 of the Bobs, Liz, Diane, Rick & Candy, Chris, and Spouse & I had a tour of their new home (which Spouse crowned 'McStevenson Manor', an inside joke) and then gathered in Steven & Thad's kitchen to eat pizza, boneless 'flamingo' wings, and bright pink cake. Thanks to Joe P for these iPhone photos. As the party was wrapping up there was a knock on the door. Two neighbor ladies came in with a bottle of champagne to welcome their new neighbors to the neighborhood. Donna and Darlene are likely in their late 40s/early 50s and have been friends since junior high school. We chatted with them and learned some of the stories of the other neighbors as well as Steven & Thad's home's previous owner. Donna and Darlene were absolutely delightful! It was a lot of fun and we couldn't be happier for our dear friends! Sat morning I woke up with pretty bad sinus congestion. Of course my 1st thought was "Just let me get through tonight's Legends show before I really get sick". I popped a couple of ibuprofen since I didn't have anymore Mucinex-D and went to work. When I got home from work I practiced my Neil Diamond medley several times in preparation for the show, then Spouse & I had dinner at Iguana Grill with Steven & Thad, Joe P, and 1 of the Bobs. I left them behind and made my way to the Blue Moon to get ready the show. This time not only did I have to get into my costume but also my 70s shag wig! Here's me in my finale costume with Steven after the show. Too bad the photo doesn't show the shag wig very well. The show went well and the audience was quite engaged. Joe P took these short videos. I was off on Sun. I'd hope to go to the beach but the weather was cloudy and overcast so we decided not to go. Instead we met Steven & Thad for breakfast at the Long Neck Diner. Afterward the 4 of us met Joe P at his community pool and hung out for a while. It sprinkled a little so we huddled under an umbrella, then it stopped. It was nice to just hang out and talk. Later that evening we had dinner with Steven & Thad and went for a walk on the boardwalk. On the way home we stopped at the drug store to get sinus congestion medication but I didn't feel like waiting in line for more than 15 minutes while both pharmacists went back and forth with a woman about some $2. refund. That night I didn't sleep well. I woke up hot, so when I got up to pee I turned on the fan, then went back to bed. I had a nightmare about trying to dial 911 on a cell phone with no numbers on the buttons while a man was trying to shoot me! I tried to yell but nothing would come out. This morning I got my sinus medication and am finally starting to get some relief. I hope this clears up soon because Wed night is the finale of the Rehoboth Idol contest. I need to be in top form so I can perform 2 songs. 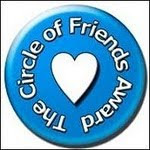 Welcome to Friday fragments, my weekly recap of topics too big to forget, but too small to be their own post. 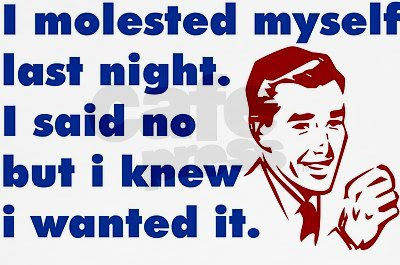 My friend Larry sent me the following 2 ditties which made me laugh out loud! Tomorrow night I'll be performing as Neil Diamond in the Legends show. I went for a run-thru this afternoon and it went really well. The show's producer was VERY happy with my impersonation, which made me very happy. I'm off Sun so hopefully the weather will be nice and Spouse & I can go to the beach. Not much else to report - have a great weekend! Last night's theme for the Rehoboth Idol contest was Broadway. I chose to sing "Seasons of Love" from the musical "Rent". Since my comfort zone is definitely old standards and torch songs of which there are plenty in most Broadway musicals, I thought "Seasons of Love" would show the audience and judges that I can sing any genre and that I'm not a 1-trick pony. Miss Richfield 1981 was the hostess and emcee again, and I must admit that I have become infatuated with her! Although it flows out of her in a seemingly effortless way, her humor and witty interaction with the audience, judges, and contestants is quite smart. Go see her if you can! A special thank you to John from Indiana for these terrific photos. Tamara has a lovely voice and great stage presence, but unfortunately her nerves got the best of her and she kept forgetting the lyrics. It was almost heartbreaking to watch her struggle. Terry really used the stage and incorporated lots of choreography in his number. I was impressed when the audience learned that Amber created her Rent medley herself. I was thoroughly entertained by Tom's bachelor party interpretation of "Get Me to the Church"! Like before the judges went off to deliberate and Miss Richfield 1981 explained to the audience that this week they could have input on the contest results. Blue paper ballots were distributed to the audience and Miss Richfield 1981 explained that they should place the ballot in the bucket of the performer they liked best. The ballots were then given to the judges to be combined with the judges' scores. I had no idea this was going to happen, but fortunately 2 of my biggest fans (Steven and Joe P) showed up and were able to cast their ballots for me. At least they better had! So next Wed is the final night and the remaining 4 contestants will each sing 2 songs: 1 disco era song and 1 song from any genre. I'm holding off on stating my songs because I've already changed my mind since a few days ago. But I'm planning to pull out all the stops and have friends and Spouse in the audience to cheer me on. I'm not fanatical about it, but I really try not to be late. Running late makes me feel nervous or stressed. It also causes people to be careless and take unnecessary risks while driving. I prefer to avoid those feelings by leaving a little earlier than I need to. Obviously some tardiness can't be avoided, like traffic accidents that temporarily shut down a roadway or having to return home to change clothes after spilling food or drink on one's self. When we lived in DC most people were tolerant of occasional tardiness because of the horrible traffic. A 5 mile drive could take you 10 minutes or an hour, depending on the time of day and weather. I always allowed myself extra time so I would sometimes arrive early if the traffic was smooth. But no one gets stressed out over being early! I believe most tardiness is preventable by simply planning to be on time or (god forbid) a few minutes early. Whether its pressing the snooze button on the alarm several times, or people who have just never been required to be on time, I find chronic lateness to be inconsiderate and rude and mostly avoidable. I really, REALLY find it irritating when someone hosting a meeting addresses those who have arrived on time saying "We'll get started in 5 or 10 minutes in case people are running late." REALLY??? You're willing to waste the time of everyone who managed to arrive on time by postponing the start of a meeting for those who did not plan to arrive on time? Spouse is chronically late. I tell him he'll be late to his own funeral. With my sensitivity to lateness and his tendency toward it, this has become source of frustration for us on a number of occasions. Since I am in charge of our social calendar, I sometimes tell him we're supposed to be somewhere 15 minutes earlier so we won't be late. Sometimes he catches on so I have to be clever. I worked on Sat but took an hour to go to the Annual Summer Bash to benefit the Foodbank of DE. This year's entertainer was country music star Aaron Tippin. Spouse & I try to go every year. Sat evening we went to Kevin & Jason's for a little barbeque. Our friend Thatcher came too. We ate out on their screened porch and talked until it was time to go into town for the Legends show. We had a really nice time! Once at the Blue Moon with Kevin & Jason and Thatcher, we also met up with Steven, Joe P, and 1 of the Bobs. Then a little later our friends Doug & Jim came in. I guess the word about how good the Legends show is must be spreading. I was not in it this week but the celebrities being impersonated were Etta James, Alan Jackson, and Michael Jackson. It was very entertaining, and I cheered and clapped enthusiastically for my cast mates. I worked on Sun and it was really quiet. No calls and no internet leads to work on. The day really dragged on. Then Spouse & I went to Steven & Thad's (Joe P came too) and we ate pizza and watched the Tony's. Thad had been in York PA earlier that day and brought home a dozen Maple doughnuts for dessert. 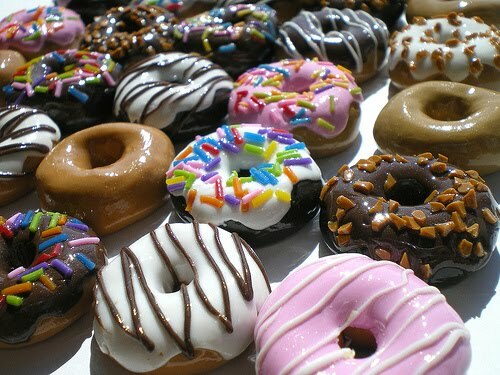 Not maple flavored doughnuts; the company is called Maple. They were absolutely amazing! The weekends pass quickly when you work both Sat & Sun. But I'm off today so I'm going to get some things done. First I have to show a house at 9:30 but its just a few blocks from home so it won't be a big deal. Then I need to pay some bills, do laundry, go to the bank, and do some housecleaning. Since the weather finally cooled off today maybe Spouse & I will go for a walk on the boardwalk tonight after dinner. We'll see how my day unfolds! I've decided I don't care for it when Glee does 'original' songs. I prefer when they do covers of songs we know. Why do people say 'navy blue'? There is only 1 color that has a shade called navy, and that's blue, so its rather redundant to say 'navy blue'. You wouldn't say 'ebony black', would you? My friend Nick sent me this and I laughed out loud! Some of you have noticed that my posts are showing up in your readers several days 'late'. No, there's nothing wrong with your readers. When I get behind and can't post for a few days I change the creation date of the posts so they appear to occur every day. So when it actually gets posted and sent to your reader a few days have gone by. Sorry for the confusion. Our weather has been so hot and dry lately. We haven't had much more than a quick sprinkle in weeks, and the temperatures have been in the 90s for about as long. We had 2 days when it broke 100 degrees - in early June! Spouse has been watering his 2 new rose bushes every evening, but our grass is brown and crispy. You can hear a crunching sound when you walk on it. We're supposed to get scattered thunderstorms sometime over the weekend and for once I hope that actually happens. My friend Terry sent me this, and I like it a lot. Want to know how to have more JOY in your life? Watch this. The White House website contains a proclamation from President Obama that June is LGBT Pride month. Have previous presidents (Clinton?) done that? I think its great. My friend Kathryn sent me this amazing video. Man, talk about high-value real estate! So, last night was week #2 of the Rehoboth Idol singing contest. 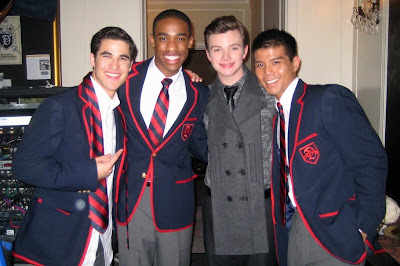 The theme was songs performed on the TV show Glee. I chose "One Less Bell". I've always liked this song, I already knew the words, and the song has strong emotional content so I felt I could use that to connect with the audience and showcase my vocal abilities. I practiced at home several times and really tried to implement Pamala and Telly's suggestions from the coaching session. One of last week's contestants (Selina) didn't return this week but 2 additional singers joined, so now there are 5 singers in the contest. Since there are just 5 there will be no eliminations as there are in American Idol. Instead, contestants get points for vocal ability/intonation, appearance/stage presence, and knowing the lyrics. Tamara was 1st and sang "Rehab"
Terry was 2nd and sang "Isn't She Lovely?" Amber was 3rd and sang "Rollin' in the Deep"
I was 4th and sang "One Less Bell"
Tom was 5th and sang "Borderline"
While the judges deliberated in another room, Telly Leung performed the Glee version of "Teenage Dream" which was fantastic! I found him to be super talented and super nice. What a great guy! After the show I thanked Pamala and Telly for their invaluable assistance. Then I got an opportunity to meet and talk with Telly and his partner Jimmy. They were both so nice! Jimmy works in NYC but tries to accompany Telly when he can at appearances and performances. I said that I wanted a t-shirt that read 'I met a Warbler', and then I thought what would be funnier would be a t-shirt that read 'I kissed a Warbler'. The 3 of us laughed, then Jimmy asked if I had kissed Telly yet. I said 'no', so Telly said he didn't want the t-shirt to be a lie so he leaned forward so I could kiss his cheek. I felt a little silly afterward, like a star-struck teenager, but it was all in good fun. So 2 weeks down and 2 weeks to go, and I'm in 1st place. Now I really feel the pressure to practice, know the lyrics, and sing well to keep hold onto my position. After all, $1000. cash and future paid singing opportunities are at stake! Today I took my lunch hour to attend the coaching session for Rehoboth Idol contestants. Contestants sing the song they will sing later on that night and judge Pamala Stanley offers advice about the vocals and stage presence. Its great to get that kind of assistance BEFORE the night of the actual competition. When I arrived I saw Pamala, 2 other contestants, and some of the bar employees. 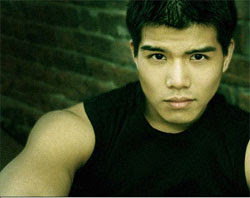 Then I noticed a nice looking Asian man in shorts and a sleeveless t-shirt who seemed familiar to me. He wasn't an employee and he didn't appear to be a contestant; I really didn't know what he was doing at our coaching session. I decided not to allow myself to be further distracted from my purpose by thinking about him and instead reminded myself not to put my hands in my pockets when I sang. When the contestant finished singing and Pamala had given her advice, the familiar-looking Asian man began offering the singer advice too. Then it hit me... he was this week's guest judge, Telly Leung from Glee! 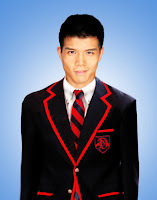 Telly plays Wes, 1 of the Dalton Academy Warblers. 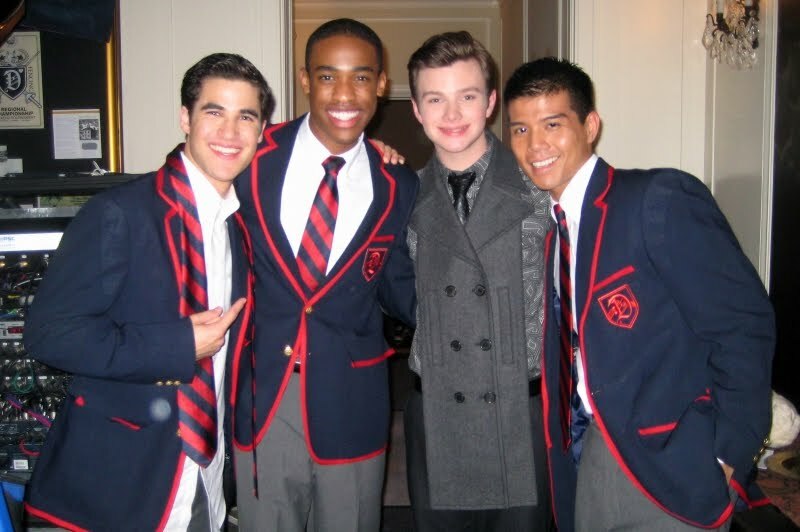 From left to right above: Blaine (Darren Cris), an unknown Warbler, Kurt (Chris Colfer), Wes (Telly Leung). When it was my turn to sing and receive coaching, Telly shook my hand and introduced himself to me. He was very warm, nice, and down-to-earth, and his advice to put my weight on the balls of my feet instead of on my heels was a great tip. It forces you to lean forward and really helps a singer connect with the audience. Although I felt confident in my song for that night, Pamala and Telly's coaching made me feel even better. I left the coaching session feeling really well-prepared for that night's competition, and I'd met a real live Broadway and TV star! As usual, I worked on Sat. We received a response from the seller's agent on the offer I wrote for my friend. The seller countered at a price not much lower than their unrealistic asking price which left my friend with the impression that they were either not well-informed about the current market and the value of their home, or were greedy. My friend decided not to counter their counter and withdrew instead. So I'll find him some other homes to view and hopefully he'll find something else he likes as much if not better. That evening Spouse & I met Steven & Thad and Jack at a new Italian restaurant called Tuscan Grille. The food was okay but nothing special. With all the Italian places around here I was really hoping for something better than just okay. But we had a nice time anyway. I left them at the restaurant and walked over to the Blue Moon to get ready for the Legends show. It didn't take long for me to get into my costume to impersonated Neil Sedaka so I just hung out in the dressing area and talked with the other singers and the back-up dancers as they got ready. Eventually it was time for the show to start and I was surprised that I wasn't really nervous. I was excited but not really nervous, which sort of made me a little scared. But then I told myself I wasn't nervous because I'd practiced a lot and was well-prepared. Roxy was the 1st to perform her medley as Gladys Knight, then me as Neil Sedaka, then Tom as Tim McGraw. I had so much FUN doing my medley and the audience was great! The spotlight was blinding most of the time, but when I'd move to the front left or front right of the stage I could see the audience. It felt great to see Spouse and several of my friends (Steven & Thad, Jack, Jason & Kevin, Rusty, Bryan) out there cheering me on! My medley seemed to fly by and before I knew it my part was over and I was leaving the stage. I quickly changed from my silver ruffled lame shirt into my finale costume and got prepared for the finale song. After the finale we came back into the bar area for a little meet-n-greet with the audience. Then I changed back into my street clothes and joined my friends. Spouse & I planned to go to the beach on Sun but the weather didn't cooperate. It was very overcast and actually sprinkled a few times, so instead of going to the beach we met Steven & Thad for breakfast at the Long Neck Diner. Afterward we went to their house to listen to some Broadway song options for the upcoming Broadway themed night of Rehoboth Idol. Spouse & I ran a few errands and relaxed at home for a while, then met Steven & Thad, Joe P, and 1 of the Bobs for dinner at Conch Island Key West Bar & Grill, followed by ice cream on the boardwalk. What a splurge that was! 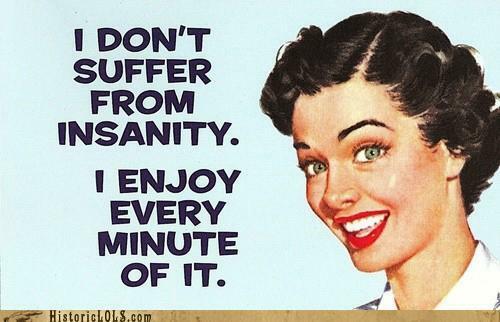 But my motto is: All things in moderation. 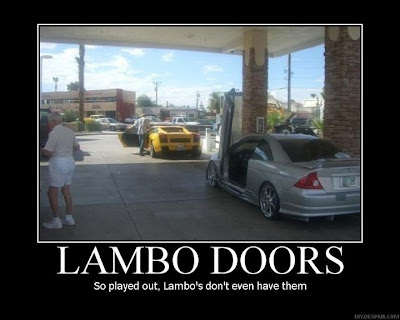 A friend from work shared this website Lavish Property. It showcases lavish, multi-million dollar homes with lots of photos. But what's remarkable about the site is that its written by a 13-year old boy! Progress continues in fits and starts on the home being built across from us. I think its ugly and completely incongruent with its surroundings, but unfortunately they didn't ask for my opinion. Service vehicles haven't been driving on our property as much as they did before, due to my letter. My friend Wendy sent me this hilarious video of a rabbit chasing a snake into a tree. Almost as funny is the live commentary. Enjoy! Today I wrote my 2nd contract! A friend of mine is interested in moving closer to the beach so I showed him some homes that met his criteria and he decided to write an offer on 1 of them. Its a good bit lower than the asking price, but the asking price is out-of-whack. Hopefully it will work out! Tomorrow night is my 1st night performing in the Legends show! I'll be impersonating Neil Sedaka and the other 2 singers will be impersonating Gladys Knight and Boy George. It should be a very exciting show! So last night was the 1st night of the Rehoboth Idol singing contest. The host/emcee was the hilariously funny Miss Richfield 1981. I'd heard of her but hadn't seen her before last night. She had me cracking up with her delicate balance of wit and cluelessness. After explaining the nature of the contest and introducing the judges, all 4 contestants were called up to the stage at the same time to be introduced to the audience. It was decided that we'd sing in alphabetical order so I went 1st since the other contestants' names were Tamara, Tom, and Selina. Once they left the stage Miss Richfield 1981 asked me a few questions about how long I'd been singing, etc. then commented on my outfit. I had on very light (off-white) pants and a dark blue shirt with off-white polka dots the size of quarters. I've had the shirt for years but its 1 of those things that never goes out of style, AND you'll never see anyone else wearing. 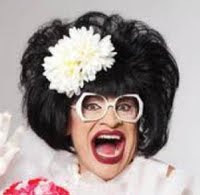 Miss Richfield 1981 said she almost wore a polka dot dress herself but every time she does she gets mistaken for Lucy. She introduced me to the audience again and my track began to play. As I mentioned yesterday, I chose "Laughter in the Rain" because my voice is similar to Neil Sedaka, I like the song a lot, I know the lyrics thoroughly and am very comfortable performing it. It went very well! Although I was a little nervous I don't think it showed. The judges were singer/entertainer Pamala Stanley, Blue Moon co-owner Meg Gardner, and karaoke/drag mistress Mona Lotts. They said I portrayed a smooth confidence that complimented my smooth vocals. They were a lot nicer than Simon Cowell! It was a really fun night and I am looking forward to next week's performance of a song used in the TV show "Glee"! The place where I often sing karaoke, the Blue Moon, is hosting Rehoboth Idol, a singing competition like American Idol, starting tonight. The winner will receive $1000. in cash and an invitation to sing in future Blue Moon productions for money. Shortly after meeting the Blue Moon's mistress of karaoke, Mona Lotts, last Aug she began asking me to compete in Rehoboth Idol in 2011. By Dec she'd made me promi se I would do it so I've had this contest in my mind for several months. But unlike karaoke, there will be no lyrics up on a monitor during Rehoboth Idol. Contestants must memorize the song and lyrics and 'sell it' to the judges. Week 2: any song from the TV show "Glee"
I've pretty much decided on all my songs but I'm not going to list them yet in case I change my mind. But tonight I'm going to sing "Laughter in the Rain", made famous by Neil Sedaka. I've sung it at karaoke many times, I know all the lyrics, I'm very comfortable singing it, and people usually respond well to it. So wish me luck tonight!